So, you wanna work in advertising? You could go the media or client service route, but what you really want is to get your hands dirty as a creative, huh? It’s not as easy to break into as you’d think, but there are a few tips, tricks and tactics to make yourself stand out. Those who head off to college to obtain a marketing communications degree will get the opportunity to build a showcase of work through class projects. It’s a good idea go back later and look at that class work to see how you can improve it. And then improve it. But for those trying to break in later in life, it can be a little harder. The best advice is: if you want to do something, just start doing it. It doesn’t matter if it’s paying work or if it’s just something you did for fun. Try looking at local marketing (billboards, radio scripts, TV, direct mail, e-blasts, etc.) from businesses you’re interested in. Then rewrite or redesign their work to improve upon it. It’s a great exercise for honing your skills and for showing potential employers how you think. In advertising, as in most businesses, it pays to know someone. Get involved with your city’s advertising federation. Go to ad industry events. Reach out to people online. Ask people you already know to make introductions. It takes some extroversion and charisma to make it as a creative. If that’s something you struggle with, practice! You’re gonna need it. Think about how your experience, even if it isn’t in a creative field, helps show you’re cut out for the position. Have you been in a leadership role? Were there creative components to your job that you can tout? Do you have any volunteer or extracurricular activities that are relevant? And don’t forget, you can always get your foot in the door through internships and entry-level or administrative positions at an agency. It’ll give you experience with how agency life works, and it’ll help you meet people that will aid you in furthering your career. Once you’ve got some work and relevant experience under your belt, it’s time to show it off. 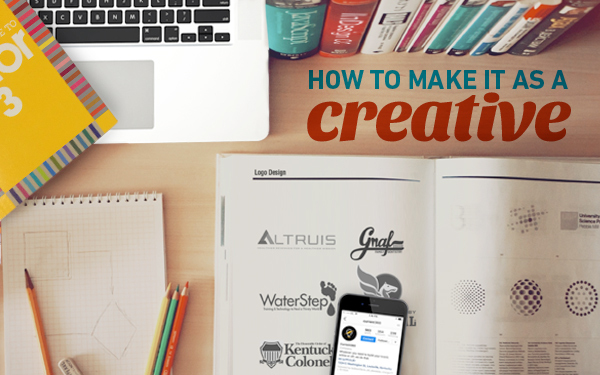 You’ll want to polish up your image with a stylized, eye-catching online portfolio. You don’t want to be scrambling to find work examples every time you apply for a position or have an interview. If you’re not a web developer, multiple tools exist to help you easily build an attractive portfolio site. Adobe Portfolio is a great option. Don’t wait until you find a job posting to send your information to an agency. Ad agencies are always keeping an eye on budding, local creative talent. If a particular agency isn’t hiring at that time, they may know someone who’s looking and can make an introduction. While we’re on the topic, be sure to check back from time to time and see what positions we have open.